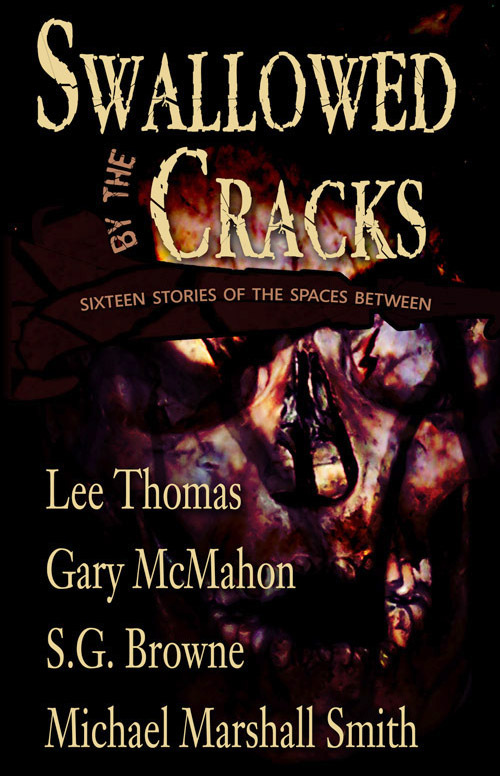 Dark Arts Books’ seventh title debuted at the World Horror Convention in Austin, Texas, on April 28, 2011! Michael Marshall Smith shows why he is an international sensation with pieces ranging thought-provoking (“REMTemps) to horrifying (“What Goes on in Their Minds”) to whimsical (“Dave 2 Beta 2”). 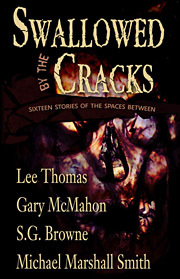 When you order a physical copy of Swallowed By The Cracks, you can also get a free e-book version of the book. Click the Add To Cart button above and answer the question during the PayPal shopping cart checkout process and we’ll send the e-book version your way when we ship the paper copy!